us are wondering what 2008 will bring? stuck at home and shopping online. you'll never use. Got an i-Phone for Christmas? make money and space for a fresh start this spring. profits by working smarter - not harder in 2008. Let us help you make 2008 your best year ever! "We don't grow unless we take risks. Any successful company is riddled with failures." upcoming new policies affecting all sellers. Gallery Plus, Picture Pack, and Feature Plus. satisfy customers best. Who decides who gets rewarded? confidence and showcase good sellers. Do you think this a good idea for eBay? How do you think these changes will affect you? 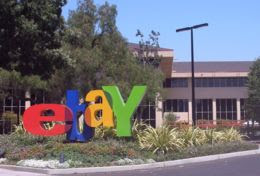 eBay is coming to the "Windy City" this summer! event of the year. Registration opens March 14.
catch the early bird discounts. Are you planning on going? have mentioned to me that they use it and like it. Plus it's free to download and use! programs like FrontPage and Dreamweaver. expertise or knowledge of HTML. Check out the latest features for Nvu! easy as typing a letter with your word processor. all of today's most popular browsers. • Powerful support for forms, tables, and templates. code if you need to make special changes. help make Nvu even better. major search engine — at least not soon. the general public next week. firms really controlling the flow of search traffic,"
venture behind the search project. details to avoid tipping off competitors and spammers. are huge undertakings, Sullivan said. to manipulate it," Sullivan said. of the billions available with major search engines. announced a project that could challenge Wikipedia. within a five-day grace period for full refunds. them for a full refund after wearing them to a party. Web," Google spokesman Brandon McCormick said. The company said it notified participants via e-mail. individuals and businesses to get a desirable name. alternative advertising is just not as effective." leading brands. The lawsuit is pending in U.S.
District Court in Fort Lauderdale, Fla. Dell Inc.
the new fee took effect.